Welcome to Sasha's World, we're all just spectators today. 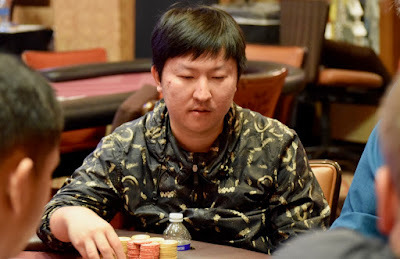 The last 340,000 of Hong Zhang's chips - 30BB - just slide across the felt to Sasha Sabbaghian as pocket Kings are good on a Jack_high board. Zhang cashes for $3,106 and Sabbaghian - the only player with 7-figures in chips - pushes that total to 1.5 million now of the 5.3 million in play. The unofficial final table begins with the next elimination.